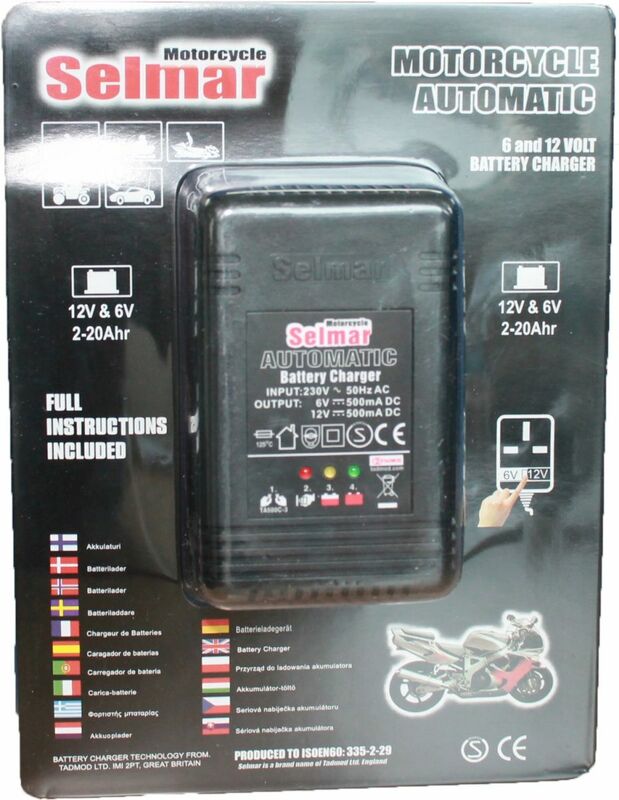 Bought along with 12v battery for project., accurately guided by your staff member - everything working perfectly ! 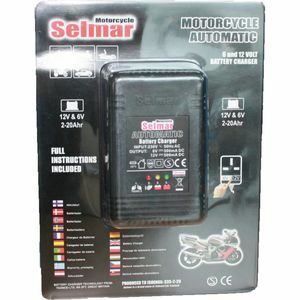 This Selmar Motorcycle Charger is suitable for charging Bike batteries with capacities between 2Ah and 16Ah. It's has a very robust design and is flame retardent. The charger will switch off when the battery is fully charged to prevent overcharging. There is also protection against short circuits, reverse polarity and thermal overload.